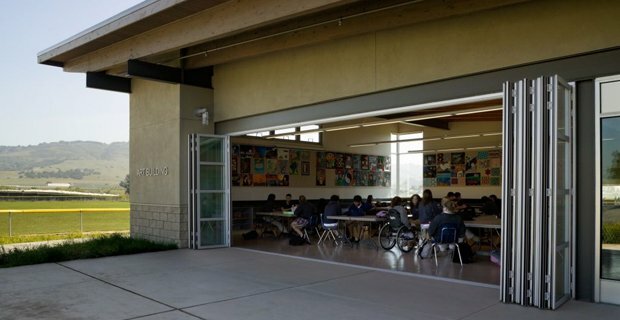 NanaWall operable glass walls installed within an educational environment creates enhanced learning experiences for 21st Century Schools. 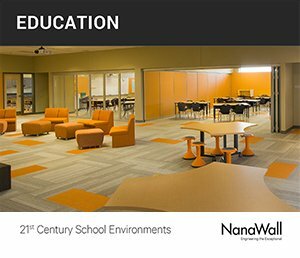 A NanaWall FlexSpace offers the ability to create optimized floor plans and increase flexibility within classrooms, auditoriums, libraries and student centers. This flexibility allows teachers to gain access to shared resources and adapt space for varying sized groups as well as project-based learning activities. NanaWall systems enable multiple room layouts without costly building additions while providing interiors with increased natural daylight and private, transparent divisions when needed. As education becomes more focused on providing the technical knowledge students will require to succeed in the future, schools need more flexible classrooms. An extendable class environment provides a learning experience that adapts to each lesson plan, allowing teachers to develop immersive educational interactions. Classroom partitions don't have to be beige and boring. With NanaWall movable glass walls, schools can craft learning environments that open young minds to new ideas and knowledge. Seamless class dividers give teachers the ability to extend their classrooms into collaborative learning spaces where students can explore their curiosity. Schools can also leverage NanaWall solutions in other rooms, such as the auditorium, library or student center. Glass partitions allow for increased visibility and access to daylight, but still reduce sound, creating a less noisy learning space. 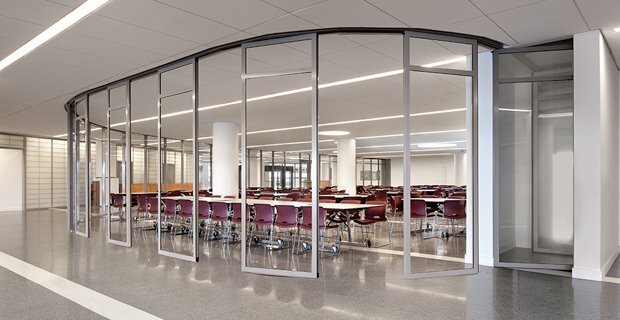 Educational facilities can save money by utilizing interior glass wall systems to create flexible rooms, rather than construct costly additions. 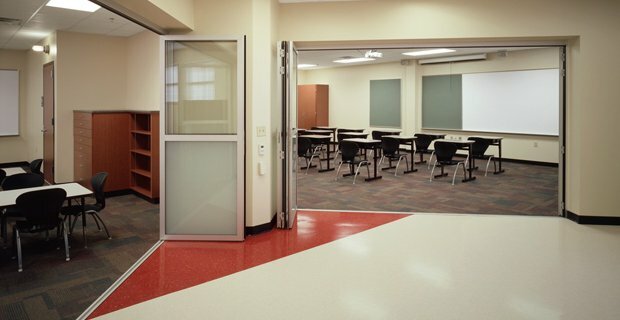 All of our interior glass wall systems are customizable, based on the needs of your educational facility. NanaWall also offers proprietary specifications for branding, and our educational clients benefit from reduced costs on signature colors, logos and hardware styles. NanaWall products are independently tested for water, air, forced entry, impact and thermal performance. Our multipoint locking system meets or exceeds most forced-entry testing for commercial grade doors. Built-in adjustment and compensation points ensure continued use if the building settles over time. Importantly, NanaWall will always be your direct point of contact for all your service needs. Our architectural support team is available to evaluate your system and provide guidance as needed. 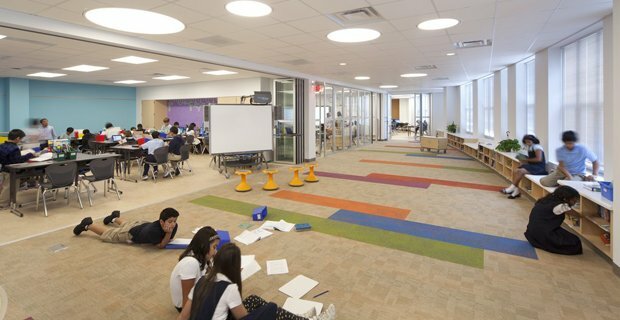 To see how some of the country's most innovative schools used NanaWall's movable glass walls to create flexible classrooms, read the use cases below. At Booker T. Washington Elementary, NanaWall operable glass walls enable multiple room configurations and sizes without building additional space-creating educational FlexSpace. To optimize the limited floor space and increase the classroom flexibility at Burleson Elementary, two NanaWall SL45 systems replaced fixed walls to create a new multipurpose FlexSpace. Texas Association of School Boards needed a solution to modernize its elementary schools without costly additions. The resulting NanaWall FlexSpace has increased classroom flexibility allowing for varying classroom sizes and requirements. 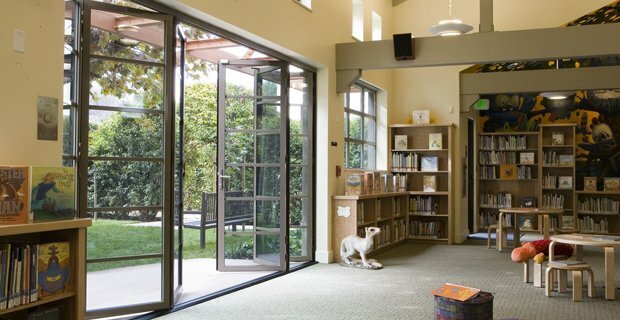 At this historic children’s library in Palo Alto CA, a NanaWall SL45 system aptly links the “Secret Garden” exterior with the multipurpose room interior allowing in natural light, fresh air and creating flexible space. 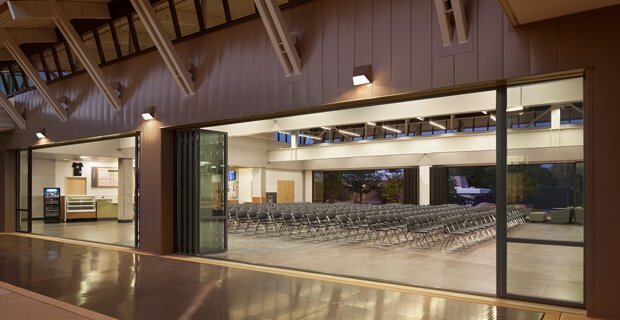 The thermally broken NanaWall design provides a high level of insulative value, as well, helping the St. Francis High School to achieve its current status as a model of sustainable, passive-energy design. The design team specified NanaWall’s HSW60 Single Track Sliding System as the solution for a transparent, segmented, interior division that required no floor track and a unique docking bay for the panels. To solve a pedestrian circulation problem created by the addition of a new Campus Center to the West Valley College campus between two preexisting plazas, two NanaWall SL70 systems were installed with great success.